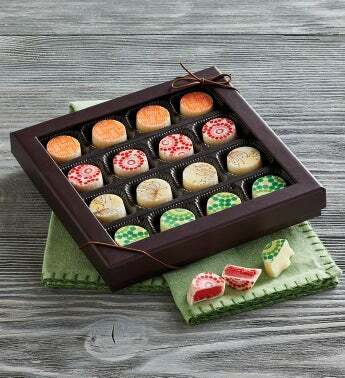 Dive into luxurious decadence with this assortment of artisan white chocolate truffles. Each truffle features a rich, delicious filling in the center in four irresistible flavors: red velvet, Irish cream, orange, and white chocolate. Perfect for treating yourself or sharing as a gift with someone special.